Hanel Automated Storage Systems is one of the worlds larges provider of automated storage solutions. Hanel was the first to produce the vertical lift technology and to develop an EcoDrive system. Hanel Automated Storage Systems are available internationally. Hanel Automated Storage Systems offers the highest quality with a wide range of products. Hanel Automated Storage Systems has solutions available made specifically for businesses. 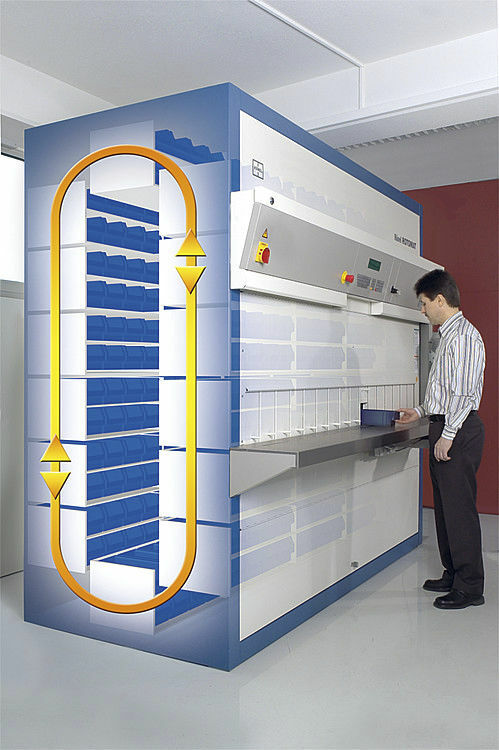 NationWide Shelving has automated storage experts available to provide you the right system for your needs. Hanel’s innovative and efficient storage solutions can significantly increase efficiency and productivity; which will lead to high customer satisfaction and ultimately increase revenue.